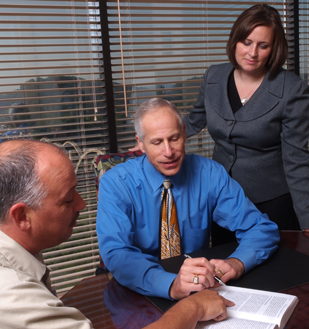 During the initial consultation, our Tennessee DUI attorneys will review with you the court procedures and penalties associated with your charge. In the meantime, you may click here for a summary of the typical steps in the Tennessee criminal justice system from the time the defendant is arrested through his or her trial in criminal court. I’ve been charged with a DUI. What are my options? You have two choices: plead guilty or plead not guilty. Why should I plead not guilty? If you plead guilty, you have a 100% chance of being found guilty. If you are found guilty you will be subjected to the penalties as well as the other serious consequences. Pleading not guilty often results in a much better result than pleading guilty. With the assistance of an experienced Tennessee DUI lawyer, the client is provided with an opportunity to conduct a thorough investigation of all the facts and ultimately either have a preliminary hearing, trial, or resolution of the case by plea agreement. By pleading guilty, you are giving up any chance of obtaining a “not guilty” verdict or reaching a compromised agreement to plead to a lesser offense. However, should you plead guilty, the court will first ask you if you agree to waive your important constitutional rights to a jury trial, an appeal, to not incriminate yourself, and other rights. The judge will then sentence you to jail for somewhere between the minimum and maximum sentence. At the very least, before pleading guilty, you should consult with an experienced Tennessee DUI lawyer to determine if you have any legal or factual defenses to your case. 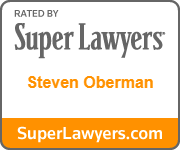 The lawyers at Oberman & Rice will not charge you a fee for your initial consultation. What kind of a sentence could I receive? The specific penalties to which the judge sentences you will vary based upon the offense(s) to which you plead guilty, the county you are in, and even the judge who hears your case. DUI convictions require, at a minimum, some time in jail, an alcohol safety program, a substantial fine, and probation. 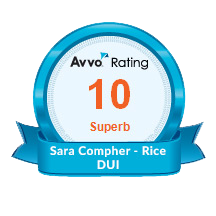 For more details, review the DUI Penalties page. b.) with a blood or breath alcohol concentration of .08% or greater. I was also charged with a Tennessee Implied Consent Violation. What is this? Click the following link for a complete discussion of the Tennessee Implied Consent law. No. Tennessee law does not require you to perform field sobriety tests at the request of an officer. The officer, however, is under no obligation to inform you that such tests are voluntary. Click here for more information on field sobriety tests (fsts). Yes, in certain instances. Any person who drives a motor vehicle in Tennessee is deemed, by statute, to have given consent to a chemical test to determine drug or alcohol content of the motorist’s blood. State law also provides that in specific circumstances a motorist can refuse to submit to a chemical test. However, as a result of refusal, the motorist could be subject to license suspension, and in some instances, criminal prosecution. Whether or not you have a right to refuse is fact specific. 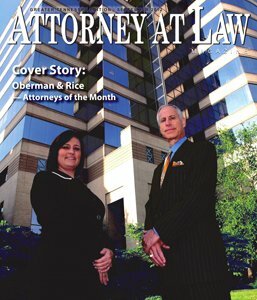 The lawyers at Oberman & Rice can assist you in obtaining a more complete answer to this question. Do I have a right to consult with a Tennessee drunk driving attorney prior to taking a chemical test? No. In Tennessee, a driver does not have a right to speak with a Tennessee DUI attorney before making the decision of whether or not to submit to a chemical test. Yes. In Tennessee, a person who is given a chemical test is entitled to obtain an additional sample of blood or urine. The sample may be obtained by any medical laboratory of the person’s choice and at his or her own expense. However, an officer is not required to inform a person of their right to an independent test. Possibly. An officer’s obligation to read Miranda rights is triggered by an arrest or once one is placed in custody (not free to leave). If you have responded to an officer’s questions or have otherwise been interrogated while under arrest or in custody, absent Miranda warnings, your Tennessee DUI lawyer may succeed in keeping your answers out of evidence in court (suppressing your statements). 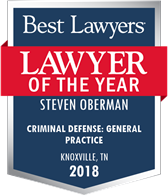 The Knoxville, TN DUI lawyers at Oberman & Rice will thoroughly investigate your case and determine if the officer’s failure to read you Miranda rights may impact your case. Can my DUI charge be reduced to DWI? No. Tennessee’s DWI (Driving While Impaired) law for persons 21 years of age or older no longer exists. Yes. In Tennessee, a 4th or 5th offense DUI is considered a Class E Felony. As of July 1, 2016, a 6th or subsequent offense DUI is a Class C Felony. May I drive while my DUI case is pending? Yes. As long as you possess a valid driver’s license and are not otherwise prohibited from driving by court order, you may drive in Tennessee while your DUI case is pending. Your privilege to drive is only revoked after conviction. Similarly, you may drive if you have an Implied Consent charge pending. Your license is affected only after a court holds that you have violated the Implied Consent law. Will a Tennessee DUI conviction raise my insurance rates? Yes — quite dramatically. Your automobile insurance rates can increase 3 to 5 times for a period of up to five years. In addition, you might have to conduct a search for another insurance company, as your current carrier may drop your coverage as a result of a conviction. Will there be a permanent record of my Tennessee DUI conviction? Yes. Anyone, including credit agencies and employers, who checks your criminal record will find a record of your DUI conviction. The conviction is permanent and will remain on your criminal record forever. Also note that if your DUI is reduced to a lesser charge, your criminal history will reflect that you were originally arrested for DUI, but that the charge was reduced. Can my DUI arrest be erased from my record? In Tennessee, a DUI can only be erased or expunged if it has been dismissed. If you are convicted, the DUI charge will remain on your criminal record forever. Additionally, several specific procedural steps must be taken to have a charge expunged from your record. If you qualify for expungement (i.e. your DUI was dismissed), you should contact an experienced Tennessee DUI attorney to assist you. If you have been convicted of a crime other than DUI, you may be able to have that conviction erased (expunged) from your criminal record. Please visit our Tennessee Expungement website to help determine if you are eligible. What effect does a DUI conviction have on my Commercial Driver’s License? Upon conviction for a first offense DUI, your CDL is suspended for one year. After a second conviction for DUI, your CDL is lost for life. No. In Tennessee, you cannot obtain a restricted license (hardship license) even if the underlying offense (e.g. 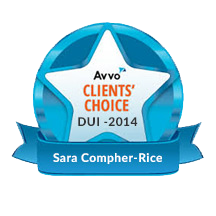 DUI or Implied Consent Violation) was committed in a non-Commercial Motor Vehicle. How much do private drunk driving lawyers in Knoxville, TN charge? Different attorneys will charge varying amounts, but their fees usually reflect their level of expertise, time, and energy each spends on the client’s behalf. Fees for DUI lawyers in Tennessee may also vary by jurisdiction (the county where you were arrested). How much will it cost to get a Tennessee DUI lawyer? 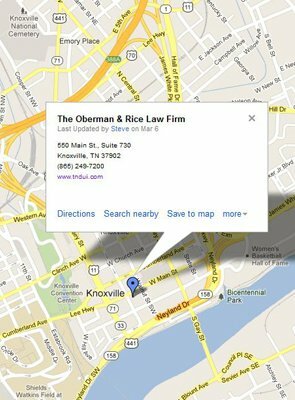 The Tennessee DUI lawyers at Oberman & Rice charge either a flat rate fee or an hourly rate fee for representing you. This ensures that we will be able to spend whatever time is necessary to attempt to achieve your goals. Further details are noted in the Hiring section of this site.